Sometimes your classroom lacks technology. You only have one computer or one iPad. You can get far with just that, but it would be nice sometimes to have a 1-to-1 classroom. Nowadays, almost every student beyond primary school has a smartphone. So actually, you have a 1 to 1 classroom! But what can you do with those smartphones? How can your students be more engaged this way? 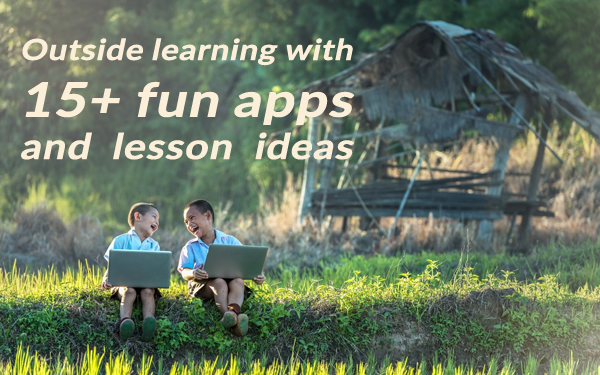 Well, there are a lot of amazing apps to make your lesson interactive, visual and fun! If you didn’t realize you could use smartphones for an educational purpose, you should keep reading. It’s better to embrace them than to ban them. Here’s an interesting post about using social media in the classroom. You might get some good ideas out of it! It’s easy to let your students use smartphones in your classroom, but it’s hard to keep them under control. 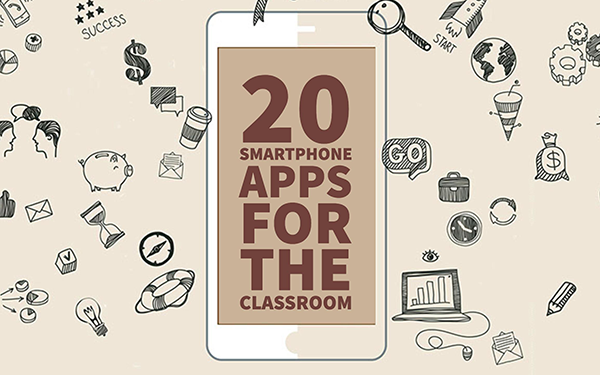 Here are some tips to ensure proper use of smartphones in the classroom. Let your students download a few of your favorite apps, and you’re ready to go. Who’s up for some great app suggestions? These apps are presented in no particular order. Poll Everywhere is a voting system, completely reinvented! As a teacher, you have to set up a question on the web interface or smartphone app. Students can see it on their PC, tablet or mobile phone. Questions can be polls, but also open ended questions like “give me a tip to improve my teaching”. Students can respond by using the web app, a text message via the Poll Everywhere smartphone app or even Twitter. You get instant audience feedback. Use the Aurasma app on a tablet or smartphone (iOS or Android). You can also do it through Aurasma Studio on a computer. Let your students install the app so they can go look for augmented reality messages hidden behind pictures or objects. BookWidgets is now also available on smartphones. With BookWidgets, you can make interactive exercises for your students on tablets, computers and smartphones. 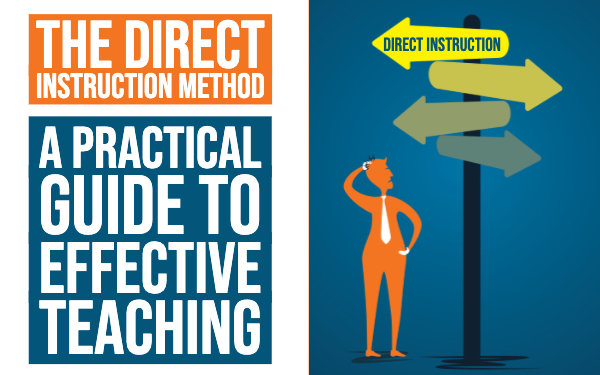 As a teacher you can choose between more than 40 different exercises and games. Take a look at the widget library. We give you the template, you add your lesson idea in just a few clicks. It’s that easy! Students open the exercise with the app on their smartphone via a special shortcode or by scanning the QR code you show them. The biggest advantage of BookWidgets is that it’s so diverse. Making your own quiz or worksheets? BookWidgets! Making your own games like crossword puzzles, memory, spot the difference, jigsaw puzzles, etc.? BookWidgets! Making automatically graded tests? BookWidgets! Download the BookWidgets app for on your iPad or iPhone in the App Store and you’re ready to get started! The iPad app is now adjusted and works on your iPhone too. Just play widgets in your smartphone’s browser. Go to https://www.bookwidgets.com/play and enter the shortcode of the widget you want to open. If you use the Google Chrome browser, you can choose for ‘Add to Home screen’ in the menu to get a shortcut to the page where you can type in your code. Explain Everything helps to take presentations to a whole new level. There’s nothing wrong with PowerPoint, but presenting a subject can be more interactive and way cooler! Explain Everything is an interactive screen casting whiteboard. This means that you can make a presentation, and record everything you are drawing and saying. It lets your students document their learning by capturing photos, creating videos, designing presentations and making books. Let them record everything they do within the app to create high quality, creative, and meaningful presentation videos. As a teacher, you can easily make tutorials and instruction videos and send it to your students. A great app for flipped learning in a flipped classroom! With Google Classroom, you can invite your students to join your course. Within this course or lesson group, you can start a conversation with your students, ask a question, make an announcement or give an assignment. Students can enroll in a lesson group with the special code you gave them. That way, they can follow the conversation and easily make the assignments. It’s that simple. You could, for example, give your students a link to a BookWidgets exercise in Google Classroom. Students see this immediately on their smartphone and can get started right away. There’s one thing you should keep in mind: you and your students need a google email address. Kahoot is probably the most well known example of a live edtech game. Kahoot engages students. Moreover, it’s competitive. That’s what students like. They want to win. Make a fun multiple choice quiz. When your students are ready to play, they enter the unique quiz code on their smartphone app. Students have to tick off the right answer as quickly as possible. They don’t really need to type the answers. They just have to tap the engaging colors on their screen. For every right answer they score points. If the answer is correct and the student was very fast to answer, the student gets more points than a slow student. If you want your students to collaborate more, Kahoot’s team mode is the answer. One device, more students. Are they able to collaborate and still answer really quickly AND correctly? Quizlet is a quiz tool that focusses on terms and definitions. As a teacher, you add a class and make a quiz. Students can download the app and search for a quiz made by their teacher. Students can even make their own study sets. They just have to open their teacher’s study set and choose what game they want to play. They can take a test, opt for the learn mode, learn by flashcards or match terms with their definitions. Quizlet Live lets your students work together in order to find the right word or definition to the description. It’s made for practicing terms and definitions. There’s something tricky though: you can’t see what descriptions your teammates have. If someone on your team makes a mistake, you have to start over again. Teams battle each other in order to be the first team to reach the finish line. Socrative is a live quiz tool and looks a lot like Kahoot. Just like in kahoot, the students have to enter the quiz by entering a unique code in Socrative’s smartphone app. Then they can start the quiz. Here they can see the questions on their smartphone screen. That’s different then with Kahoot. After the quiz, you get the results of your students and can see what questions were hard and need some more explaining. There’s one great difference between Kahoot en Socrative though: Socrative is less competitive than Kahoot. You’ll see that in your student’s behavior. When you want to really energize and engage your student, you should use Kahoot. When you want your students to have fun while focussing on the lesson material, you should use Kahoot. With Nearpod you can create interactive presentations. Add slide by slide or choose a special Sway template you can adjust. All those slides make an amazing interactive presentation. Especially if you add activities like quizzes, open ended questions, polls, draw questions and others. When your students have to make a quiz or a poll, they can just do that on their screen, as it is a part of the presentation. The answers are gathered live! So you can see immediately what your students answered. Seesaw lets your students hand in assignments with just a few clicks. It’s an app or website where students can work on their portfolio. They can join a class by entering a code via the smartphone app or website, or by scanning a QR code. Then they can choose between seven buttons. They can add a photo, video, make and record a drawing, upload a photo from their camera roll, add a note, a link or a file. It’s an easy and swift way to gather articles and important things for a course. Student’s don’t have to wait until they have a computer at their disposal. 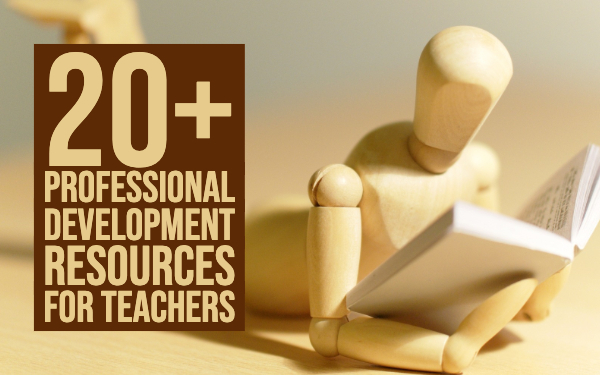 They can gather and add everything they need that relates to their teacher’s assignment or course portfolio. You can leave a comment and approve your student’s work. Every student encounters at some point in his learning career a problem with math. Sometimes solutions are penned down without even knowing where it came from. After reviewing, the steps to the answers are just one big mystery. And sometimes it is really hard for a teacher to keep explaining the same thing a hundred times. It would be so nice to have a helping hand. Let your students download photomath. This app lets them scan a certain calculation and the app takes you to the answer, explaining every step thoroughly. Students can learn the calculation on their own pace when a teacher goes to fast or can’t go over every exercise. When I first tried it, I was completely blown away (read “in love”) with this app. I would have gotten better grades with a virtual teacher right by my side when doing my homework. Of course you can’t completely rely on this app, although it is really good. You have to make it clear to your students that this app is supposed to be a help, and not something that does their homework for them. They won’t be able to use the app during tests or exams. This great app allows you and your students to use your smartphone as a document scanner. It automatically detects documents or notes of any size and offers enhancement options. Great for students to quickly make copies and send it over to their teacher or other students. No need for a scanner at home. In just a few clicks the image is saved or on its way to another destination. This app is for iPhone only. For Android phones you can use CamScanner. Airserver is an application that helps you to mirror your screen to the computer. This way students can show everyone what they are doing, what solutions they have found and where they have found them. Airserver is installed on the classroom computer (not the iPhone) for Windows, Android or Mac. Install the application, let students swipe up from the bottom centre of their iPhone and choose for “AirPlay Mirroring”. Then they have to choose the classroom computer. This would be too easy is there weren’t some downsides to this application. So, here it is: sometimes it just doesn’t work. This is because the iPhone and the computer must be on the same strong Wifi network. And that might be an issue for some schools. But when it works, it’s just so handy. The best thing about this app is that multiple phones can be projected on just one computer. Then connect your computer to the projector so everyone can see the iPhone screens. Adobe Spark is an intuitive app that lets teachers and students create animated videos in minutes. Choose a video lay out, import videos and images, add text and choose a music track. That’s it! In this video creator/editor, students can easily add and trim video clips to make their videos stand in the classroom. They can choose an image from a library that has over 25,000 beautiful iconic images or add their own photos to highlight what they have to say. Spark automatically adds cinematic motion to their story so they don’t have to be a pro in video editing. This app can also students with their presentations and speaking exercises. You can use Adobe Spark as well to teach a short lesson. Ideal for microlearning! Just insert your slides and add short videos (explainer or instruction videos from Explain Everything!) and you’re done! Padlet can be used by students and by teachers. With padlet you can create an online board that you can share with every student or teacher you want. Just give them the link. Padlet allows you to insert ideas anonymously or with your name. It’s easy to use and very handy. Whoever has the board open on his smartphone, can see what’s on it and what everyone is writing. Students can use Padlet when collaborating on a teamwork and the teacher can use it to do some live brainstorming on a topic in class. Students just have to take their phone and start adding brainstorm ideas. They can see all the ideas gathered on their teacher board on the big screen. Collect your ideas when you find something interesting on the internet that you can use in your lessons. Simply save it to a Padlet board. Students can do the same. Popplet is perhaps the simplest tool to capture and organize ideas. With a few clicks on the screen, students can make “Popplets” (little squares) and add text and images. It’s easy to connect the Popplets, rearrange them, change their colour and even adjust their shape. Popplet is great for learning in the classroom and at home. Students use Popplet to think and learn visually. Students learn to generate new ideas by capturing facts, thoughts, and images. They learn to make simple mind maps in just a few steps. Lucidchart allows students (and teachers) to create plenty of different diagrams like flow charts, mind maps, wire frames and much more. Why is it so good? Well, students can work together on these charts without sending new versions by email over and over again. Collaborate with others and work on diagrams together in real time. After finishing their project, they can export it as a PDF file or PNG file. Then they just have to save it on their phone or share it via mail, social media or with other apps. Lucidchart provides free educational licenses that include all premium features to schools and universities, but you have to pay for it on a smartphone. Every student needs a QR code scanner on his iPhone. I’m sure you, or one of your colleagues uses QR code once in a while. If not, you should definitely get started. It’s easy and fun. Scanning thing is always fun. Even it’s just for that one second. The QR code Reader and Scanner app is a QR code scanner app. Whoever has this app on his smartphone, can scan and create a QR code. That would be a nice activity too. Let your students make a quest through the school buildings with QR codes about a certain top. Fun guaranteed! With Pearltrees, your students get organized. It’s a “page” on their smartphone where they can save collections like idea boards, photos, notes, files, web pages and more. It’s easy for them to collect things they can’t lose, or articles they might need later on in class. Interesting web pages they stumbled upon, ideas for in class or for homework, notes and lists, etc. Khan Academy’s mission is to provide a world-class education for anyone, anywhere. They teach students important lessons about history, science, physics, finance, biology, geometry, algebra, grammar, etc. If you are looking for a good explainer video for in your class? Or just looking for ideas? Then this is definitely the place for you. You can let your students install the smartphone app so you can recommend video’s they have to watch. Students can also take a look sporadically. They can learn from the videos everything they want, anytime they want. Every app works for iPhone, and Android, unless I stated otherwise. I’ve given you the links to the iTunes Store, but if you look up the apps, you’ll find the links to the Google play store as well. I hope you will use a few of these amazing apps! One final tip: let your students suggest their favorite app for the classroom once in a while. You’ll be amazed at what they dig up!